Renting a vehicle for business purposes creates a number of risks. Some of these are obvious; for instance, you could cause an auto accident through your negligent use of the rental car. If the accident results in bodily injury or to another person, the injured party might sue you or your company for damages. Other risks associated with rental cars are more subtle. The rental agreement may transfer a substantial amount of liability from the rental agency to your firm. You may be unaware of the scope of liability you have assumed until a claim is filed. The following questions can help you identify some key risks associated with rental cars. Once you have the answers, ask your agent or broker to help you determine whether you have adequate coverage for losses that may occur. Most (but not all) states require rental agencies to provide customers at least the statutory limit of auto liability insurance. This limit is typically too low to adequately protect you against liability claims. Moreover, the coverage may be excess, meaning it applies after other available coverage, such as the driver’s personal auto liability insurance, has been used up. Does Your Firm Have a Commercial Auto Policy That Covers Hired Autos? Hired Auto Liability Coverage is available under a commercial auto policy. It protects your company and your employees against suits arising from the use of a rented vehicle. Like the coverage afforded by many rental agencies, however, this coverage is excess. Your policy will pay claims arising out of a hired auto after other collectible insurance has been used up. Is the Vehicle Driver (You or Your Employee) Insured by a Personal Auto Policy That Covers Rental Vehicles? Many (but not all) personal policies cover vehicles rented by the policyholder or a resident family member. Thus, a personal policy may afford valuable backup coverage if no other liability insurance is available to cover a claim. You shouldn't assume, however, that your (or an employee’s) personal policy will cover claims arising from vehicles rented for business purposes. The policy may contain various "business use" exclusions. In addition, a personal policy does not contain all of the coverages (such as Loss of Use) that are included in a commercial policy. Whose Name Will Appear on the Rental Agreement? This is important for two reasons. First, your commercial auto policy covers hired autos rented by the named insured, meaning the person or company listed in the declarations. It does not cover vehicles rented by an employee unless employee-hired autos are specifically covered by an endorsement. Secondly, the driver's personal auto policy may not cover a rental vehicle used in the driver’s employment. Your insurance agent can help you determine what limitations exist in a specific policy. What Scope of Liability Is Imposed on You by the Rental Agreement? Most rental contracts contain an indemnity agreement that transfers liability from the rental agency to you. 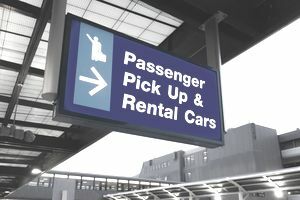 The agreement may require you (the customer) to indemnify the rental company for various costs it incurs as a result of an accident caused by your use of the rental car. What Coverage Is Available for Physical Damage to the Rental Vehicle? Coverage for collision or theft of rental cars provided by a credit card company. This coverage is available only if you use the card to rent the vehicle. If Your Company Has Been Sued and All Sources of Liability Coverage Are Excess, Which Policy Applies? Both personal and business policies cover rented autos on an excess basis. Liability coverage provided by the rental company may also be excess. Which coverage applies first? The answer may be determined by a state statute or a previous court ruling. Alternatively, the insurers may opt to share the loss. Ask your agent or attorney how such disputes are typically resolved in your state.